The DTGPSU30 series of AC/DC desktop power supply offers up to 30 watts of output power in a 4.23” x 2.64” x 1.42” package. This series consists of single output models with a universal input voltage and high efficiency. 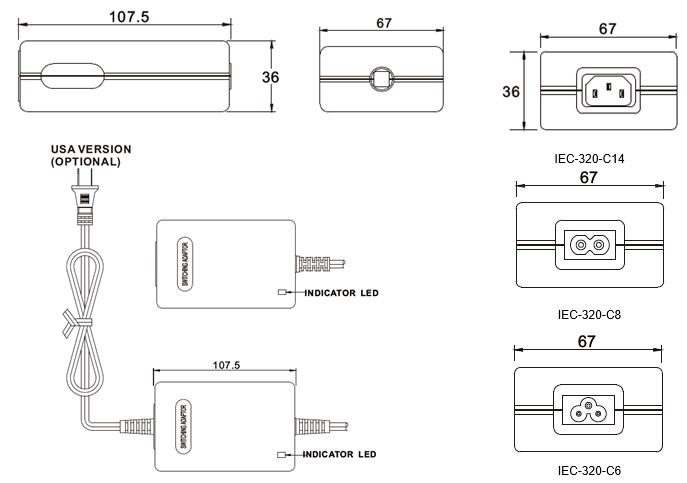 Several options are available for this series including AC inlet and cord type. Each model in this series has short circuit, over current, and over voltage protection while 11~50VDC models meet EISA 2007/DoE (VI) and EU ErP/CoC (5). 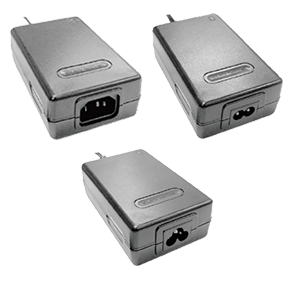 This series has UL60905-1; CSA C22.2, EN60950-1, IEC60950-1, PSE and J60950-1 safety approvals. Please contact factory for order details. Notes: 1. “X” indicates AC inlet. “X” can either be “A” for IEC-320-C14, “B” for IEC-320-C8, “C” for IEC-320-C6, or “D” for Mains Cord. “Y” in the model name indicates mains cord type. “Y” can either be “U” for 2-Pin American cord, “U1” for 3-Pin American cord, or “E” for European cord. “Y” will only change if “D” is selected to represent “X”. 3. Avg. Eff. (%): Averages the efficiency at 25, 50, 75, and 100% of max. rated output current.